Better pay for working parents and increases to child benefit and social welfare are needed to end child poverty, according to a think tank. Social Justice Ireland says 230,000 children are living in poverty. It publishes its 'Poverty Focus 2019' study today, which found that one in five children here is in poverty. The group stresses that better pay and conditions for working parents, increased child benefit and more adequate social welfare could end child poverty. Seán Healy, director of Social Justice Ireland, said: "The scale of child poverty in Ireland is alarming and is simply unacceptable in a country as wealthy as ours. "Despite good intentions, child poverty is an issue Irish society and public policy has made little progress in addressing for a long time. "Eliminating child poverty should be a top priority for Government. It can be done but it requires action now. "More equality is better for everybody, including the economy." The report states around 230,000 children are living in families with incomes below the poverty line, while 110,000 are living in consistent poverty and experience deprivation. The poverty line is calculated as being 60pc of median income. In 2019, the poverty line for a single adult is €252.11 a week. For an adult and one child it is €335.31 and for a family of two adults and two children it is €584.90. Social Justice Ireland said the figures not only show a "stark" reality of Ireland today, but they cast a shadow on the futures of these children, their success within the education system, their job prospects and for the nation's long-term prosperity. 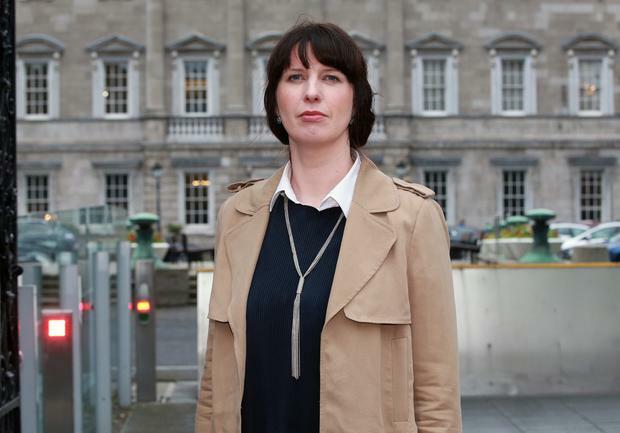 Michelle Murphy, research and policy analyst with Social Justice Ireland, said: "Child poverty is essentially an issue of families struggling to survive on low incomes. "Children cannot be lifted out of poverty unless their families are lifted out of poverty. "Government can support low-income families by prioritising adequate adult welfare rates, decent pay and conditions for working parents, increased child benefit and access to quality services."